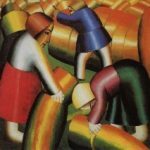 You opened the phenomenon of Ukrainian avant-garde, particularly Malevich, for the world and for many years methodically explored the artistic legacy of the artist. Could you please tell why you got so interested in him? “I saw that Malevich is one of the most important artists of all times not only in Ukraine and Russia, but also of the entire world. 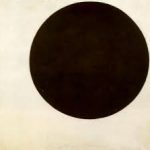 This is a unique phenomenon when, after centuries of academism there appeared a mythological form of the Black Quadrilateral (this was the name used at the exhibition ‘Zero-Ten’ in Petrograd). Not so much the painting itself, but the form. The conceptual energy that emerged from this form, raised the art to zero. It all started again. Art became more rapid and, according to Chernyshevsky, it became a textbook of life. 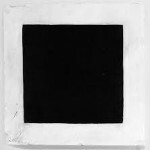 “Still, there is a very popular belief among common people that Malevich had very little paintings, they often say that their kids can draw just as well. This is rather the issue of bringing up. Today, the art returned to things against which Malevich and all the left art revolted. Avant-garde is the name the movement received later on. After the revolution, ‘the left’ and ‘the right’ became political notions, but before they meant innovators and those in rear guard. Given these facts, you can’t but notice that Ukrainian art is often defined as a part of “Great Russian” art. In your opinion, why does it happen? In fact, I would argue with that. “Well, you know, Ukraine to the Western people is as if in some Great Russian mirage. There were phenomena, but in reality there was nothing like we have right now, thank God. Sich was a rudiment of a state. Of course, not of a scale as it was in the days of Danylo or Yaroslav. But a state with its own internal problems, which would play its role in the international arena – this notion is still new for Ukraine, while for Russia it’s not. Ever since the days of Peter I, and later German Ekaterina, Ukraine was on the outskirts. Despite the recognition of the country, for example, after its description was published as a part of Guillaume Le Vasseur de Beauplan recount of his travels. Or, for example, Bohdan Khmelnytsky thought that he had been deceived by Muscovites and thought that an alliance with Poland against Muslims was possible, but in reality, the Muscovites did not treat his actions with respect and, therefore, the disaster struck. Our newspaper published books every year. We already presented an entire series The Day’s Library. One of these books is called The Power of the Soft Sign. The authors of this book, professional historians, explain the appropriation of the Ukrainian past, which is taking place even now… Please, tell us whether there are “white spots” in Malevich’s legacy in perception of mass consciousness? For example, Ivonna Malevich, great-niece of the artist, in 2010 at the ceremony of awarding Malevich Prize in Kyiv said that Kazimir Malevich responded to the Holodomor not only with a series of paintings, but he also wrote civil lyrics. Do you know anything about these facts? Could you tell us what is the attitude of French people to Ukrainian art these days? What distinguishing features does it have? “It’s an entire complex. In short, first, it’s the color. Solar illumination. And this is a striking feature of those who lived in Ukraine. It manifests itself in a range of colors in nature, in people’s clothing. For example, Sonia Delaunay, who left Ukraine at the age of seven, had very warm memories of her homeland due to the fact that at that time it was more beneficial to be called Russian. The color of wheat, sunflowers, watermelons, tomatoes, which she remembered as a child, embodied in her work and in this way she affected her husband. Another example is Mykhailo Larionov, who lived in Bessarabia and his mother was Ukrainian. His yellow is sunny and cheerful. And his life-long friend (they got married in their latter days, but everyone considered them to be a husband and wife anyway) Natalia Goncharova used a somewhat different color – reddish yellow, rather iconic, but not natural – she is Russian by origin. Another artist who used amazing colors was Oleksandr Archipenko. “Second, it’s the space. This element of art is especially important. The feeling of space gives the feeling of freedom. The fact that in the consciousness of the Ukrainian people there were Cossacks, free people, who never knew the Tatar yoke, like the Northern people. The Great Russians lived in forest areas. If we would compare the Suprematism of Kazimir Malevich and Liubov Popova, his forms are floating in infinite space, while hers are attached to other objects. “Another distinguishing feature of the Ukrainian school of art is the Baroque. This element played its role also in avant-garde. For example, baroque trend is noticeable in art work of Oleksandra Ekster, Volodymyr Baranov-Rossine, and even Oleksandr Bohomazov.